12 Days Of Holiday Music: Day 11 - "I'll Be Home Home For Christmas"
The holidays, just like our next installment of "12 Days of Holiday Music" can bring about a great deal of emotion. The season is often laden with joyous activities and fond thoughts of those around us, but can also embody a sense of longing for those things we are without. 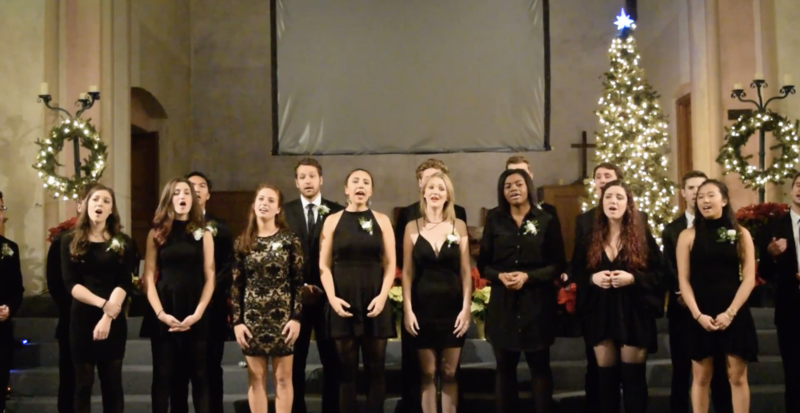 So, to those who may be missing those loved ones that will be far away, let us present to you the Socal Vocal's rendition of "I'll Be Home for Christmas." This touching song has a way of stirring up deep emotions that cannot be ignored, while simultaneously reminding you that someone is thinking of you. And the Socal Vocals express it beautifully with their simple, but affectionate arrangement of the holiday track. The coed a cappella group from USC is in rare form as they carefully convey each note, with extreme patience and the musicianship that you'd expect from a world-class aca-group. This video will warm your heart. Be sure to share it with someone special.